Mayor credits Governor Chafee’s statesmanship to bring parties back to the table; partnership between capital city and university to bring Brown’s annual payment to nearly $8 million this year. – In the historic State Room at the Rhode Island State House, Mayor Angel Taveras, Brown University President Ruth J. Simmons and Governor Lincoln Chafee announced a new agreement between Providence and the university that addresses the capital city’s structural budget and positions Providence for a bright future in partnership with Brown. Under the agreement, reached after nearly a year of negotiations, Brown will pay an additional $31.5 million over 11 years to the City of Providence. The announcement comes one day after Mayor Taveras signed a comprehensive pension reform ordinance and announced a $2.4 million agreement with Lifespan – the first voluntary payment agreement between the city and a hospital in Providence’s history. Brown University will pay $31.5 million over 11 years, including $3.9 million during the current fiscal year that ends on June 30. The agreement does not include payments or fees for any property that Brown will purchase or develop in the I-195 area. 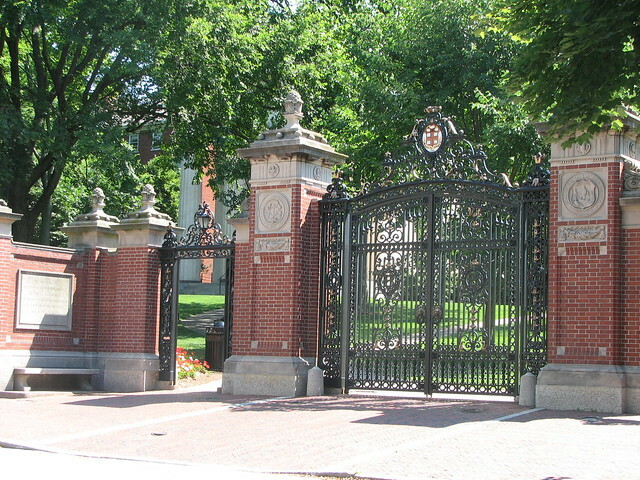 In exchange for the additional payments from Brown University, the Taveras administration has agreed to abandon streets immediately adjacent to Brown’s main campus: one block on Olive Street between Thayer Street and Brown Street; two blocks on Brown Street between George Street and Charlesfield Street; and one block on Benevolent Street between Brown Street and Magee Street. The city will also provide Brown with 250 non-exclusive parking permits that allow Brown employees to park for extended hours on certain streets near the campus. During the press conference, Mayor Taveras credited Governor Chafee’s leadership to keep negotiations focused and ensure that an agreement was mutually beneficial for Brown and the city they have called home since 1764. “Rhode Island and Providence share a history and future with Brown University. I am very pleased that our capital city and our oldest university reached an agreement that will help position Providence and Rhode Island on a more secure fiscal path,” said Governor Lincoln Chafee. Under the terms of the new agreement, Brown’s total contribution to the City of Providence, including payments made under the terms of the existing 2003 Memorandum of Understanding and taxes paid on a small number of non-mission properties, will increase to nearly $8 million through 2016. Shortly after taking office last year, the Taveras administration identified a $110 million structural deficit. Through shared sacrifice that included tax increases and budget cuts, the Mayor cut the deficit from $110 million to about $22 million – a nearly $90 million reduction. In addition to the agreements with Brown University and Lifespan, the Taveras administration announced a new agreement with Johnson & Wales in March of this year that at least triples Johnson & Wales’s annual contribution to the city. The terms of the agreement with Brown University will be presented to the Providence City Council for approval. Glad to see an agreeement, although I’m disappointed that the city has to abandon streets in return. The streets that are recommended are very low traffic other than students moving within Brown’s campus. Also, the surrounding areas are already owned and used by Brown for purposes that essentially close them to other types of use that may suggest maintaining the grid in that area. I think as far as street closings go, these recommendations are a pretty good fit. I don’t know if I understand that to mean that the streets would be closed to through traffic, but if so, they are rather minor. Here’s a map of the streets. I emailed the City for clarification of what an abandonment would mean in this case. This should not be considered part of the “voluntary payments”. This is Brown University purchasing land from the city. I hope this doesn’t set the precedent that a bankrupt Providence is for sale to the highest bidder. The city will also provide Brown with 250 non-exclusive parking permits that allow Brown employees to park for extended hours on certain streets near the campus. is going to go over well with the neighbors. The problem I have with the parking permits is Brown is likely going to charge their employees for those permits. The street abandonments and the parking permits should not have been awarded to Brown; poor negotiating by the Taveras administration. They reverse specific gains made by the community in the past 10 years against unnecessary institutional expansion on College Hill. They also set terrible precedents. State-level reform of Brown’s way-too-generous tax-exempt status should accordingly be accelerated. I am surprised they agreed to Olive Street, that is a fairly busy street.